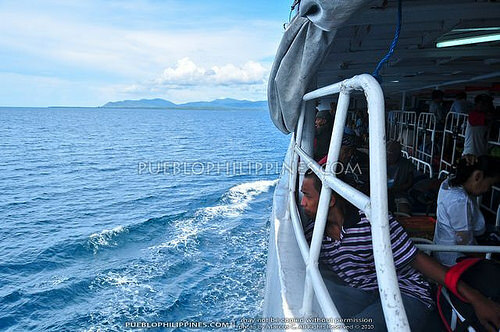 I started my first solo backpacking trip – an adventure to Palawan by taking a long RoRo Ferry from Iloilo to Puerto Princesa City. 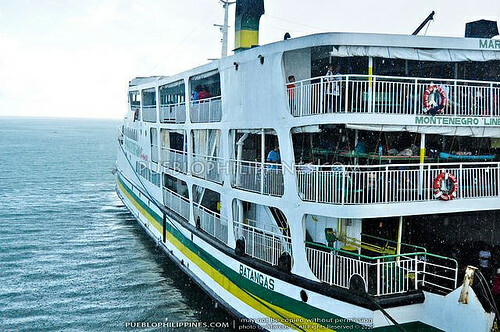 There are no direct flights between the two cities, the choice was to (1) take the ferry or (2) a connecting flight via Manila or Cebu. Other than being the cheaper alternative, another big reason why I took the ferry was because it does a stopover in Cuyo Island. The chance to visit Cuyo was exciting for me because it’s a very remote island that not a lot of people have dared to explore. 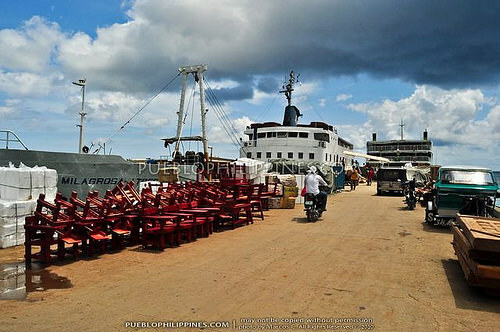 I arrived at the passenger terminal of “Milagrosa Shipping Lines” at around 6:00PM. 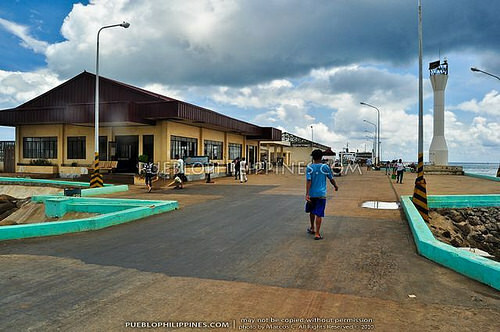 The terminal is located at the Lapuz-side of the Iloilo River Wharf, which can be accessed by riding a Lapuz jeepney passing by the road across the Old Iloilo Provincial Capitol Building. Despite living in Iloilo City, it has only been one of the few times I’ve been to the Lapuz-side of the Iloilo River Wharf. Usually, I’d be at the other side taking a photo walk of “Muelle Loney St.” or waiting to board fastcrafts bound for Bacolod City. 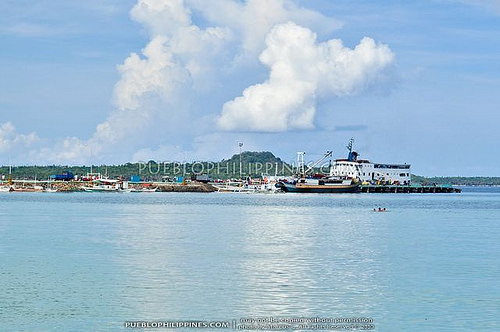 It’s like a revelation for me to discover a whole new set of possibilities just across the river, to be able to ride a ferry enroute to Palawan, which is at the top of my travel wishlist. 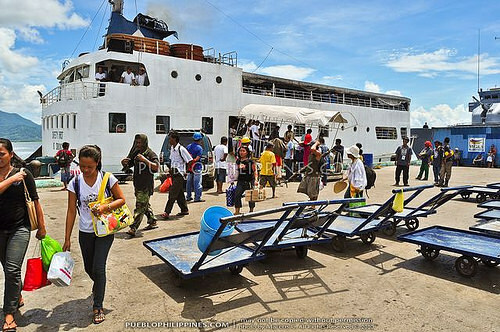 The passenger terminal of Milagrosa was already packed with people and mounds of cargo. It was quite hot and plagued with the smell of sweat and poultry. At 7:00PM, the other passengers started to line up for the boarding procedures. I was so excited to finally leave the stuffy terminal, but subsequently realized that the conditions inside the boat weren’t any different. 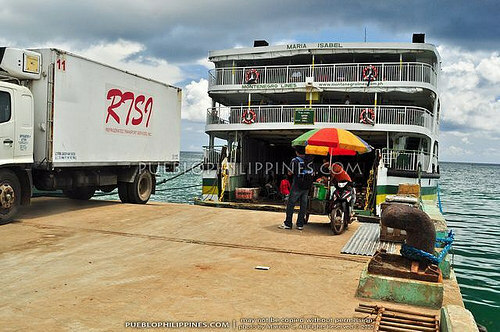 The RORO boat had two decks filled with cramped bunk beds. The lower deck had a canteen and a closed off air-conditioned section and the upper deck had a more open-air set-up. The upper decks initially appealed to me, thinking it would be more breezy up there. Unfortunately, the air was so still and humid during the whole duration of our sea voyage, it was so uncomfortably hard to sleep. I can’t help but be extra observant with my surroundings since it was the first time doing something like this in my life. My instinct was to close myself off from other people, so they would assume I was a local and not take advantage. I know it’s absurd and “untraveler-like” but I was feeling a bit scared being all alone. The next day, I woke up at 5:30AM, took a bath (they have common T/B in each deck), and then had breakfast of instant cup noodles at the small canteen in the lower deck. I felt really excited when small patches of land came into view. 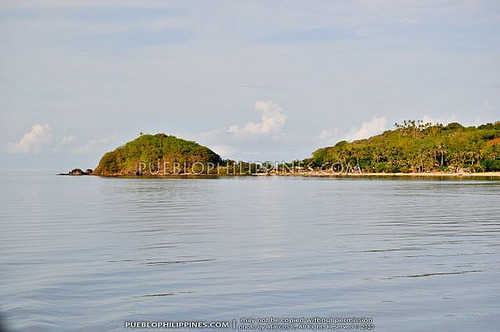 We were already in the Cuyo group of islands at the middle of the expansive Sulu Sea (between Panay and Palawan Islands). 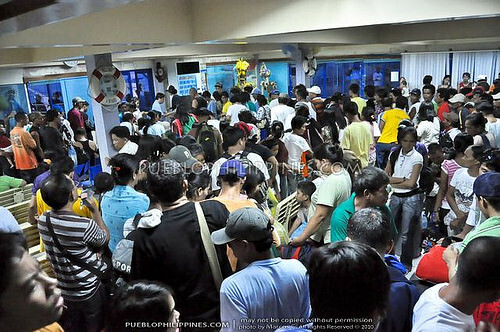 It was 8:00AM when the ferry docked at the Cuyo Pier. 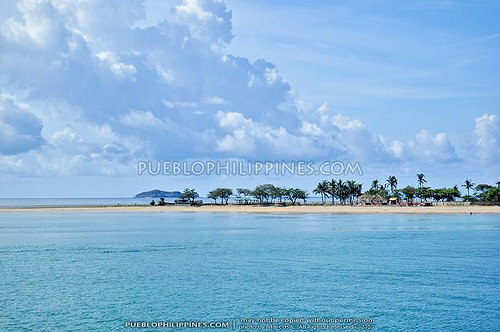 Cuyo was popularized by the Philippine romantic drama film “Ploning,” shot almost entirely in the island and starred by veteran actress Judy Ann Santos. I haven’t seen the film yet but the movie stills posted online showing cinematic landscapes and seascapes of Cuyo looked so awesome and tempting. I had six hours to explore Cuyo Island. My day trip started with a walking tour of the town proper followed by a visit to few spots around the island by single motorcycle (My experience during the Cuyo 6-hour stop-over is posted here: A Day in Cuyo Island). It started to rain on my way back to the pier. I was a little worried since my time of travel was bordering on the transition from dry season to the wet (monsoon) season. It rains a lot during the monsoon season for weeks on end in tropical Philippines and I was afraid of experiencing huge waves during the second half of our ferry crossing (especially knowing we were already at the middle of the Sulu Sea). Luckily, the rain stopped after an hour, which was a great relief. Unfortunately, we were informed that the ferry got broken down and it will take some time to fix the problem. We left Cuyo at around 5:00PM, two hours behind schedule. The crew told us that we might arrive later than expected at Puerto Princesa City. The estimated time of arrival was pushed to 10:00AM (the next day). It was the same humid and still-air affair during my second night at the boat. 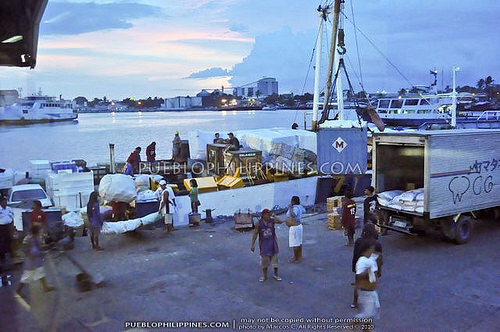 Yes … the boat takes two whole nights or a total of 36 hours to get from Iloilo City to Puerto Princesa City, Palawan. I was already getting a bit familiar with my “bunkmates.” My spot was actually near a few backpackers but my anti-social self still couldn’t muster up the courage to initiate a conversation. Poor me :( I understand that if you’re travelling alone, it would make things so much easier and pleasant to make new friends. Woke up on and off early morning eagerly anticipating the arrival in Puerto Princesa City. I was still hoping to arrive in Puerto on time at 8:00AM. I was on edge since I planned on catching the bus straight to El Nido after arrival. 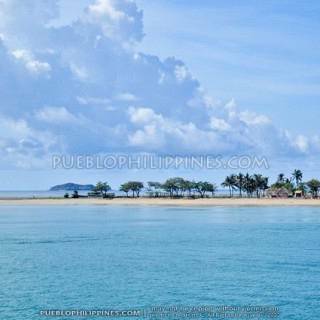 The last passenger bus leaves Puerto Princesa City for El Nido at 10:00AM. If I were to miss the bus, I will have to take the shuttle (L300) van, which is twice as expensive. 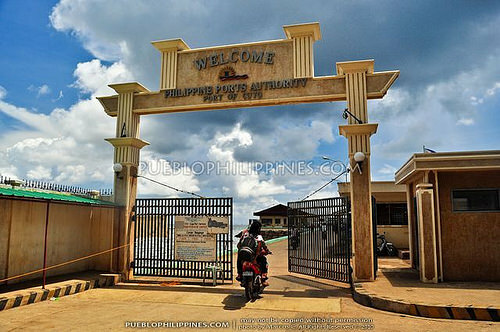 I got really anxious when the ferry docked at Puerto Princesa Pier even later than expected at 11:30AM. Because of the delays, it took me 40 and a half hours to travel from Iloilo to Puerto Princesa! 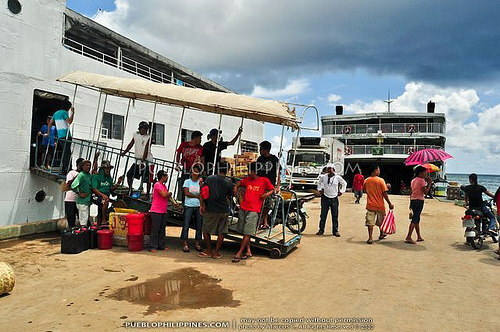 The experience of riding the slow ferries from Iloilo to Puerto Princesa City wasn’t actually as bad as I had expected. It could have been more pleasant if I wasn’t so closed off to other people, especially to fellow travelers. Being more open to other people has always been one of the things I’ve always hoped to work on during my travels. I wonder how it is with other travelers? Nonetheless, even in my solace, it feels exhilarating to finally kickstart my solo travels and be able to experience such remote beauty in the Philippines. Prices of food items at the Milagrosa Ferry Canteen is a bit pricier than usual. Better stock up on food/water before boarding the ferry. Instant Cup Noodles – P30. Buy the ferry tickets one day in advance. There’s a high chance that the ferry gets fully booked a few hours before departure. 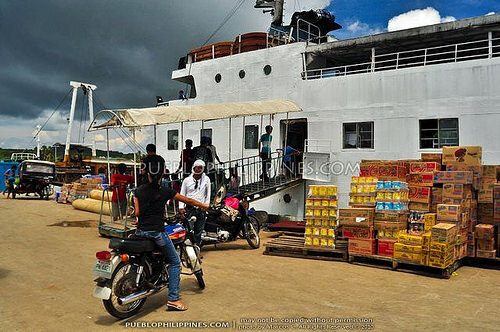 There are two shipping lines servicing the Iloilo to Palawan route namely: Milagrosa Shipping and Montenegro Lines. 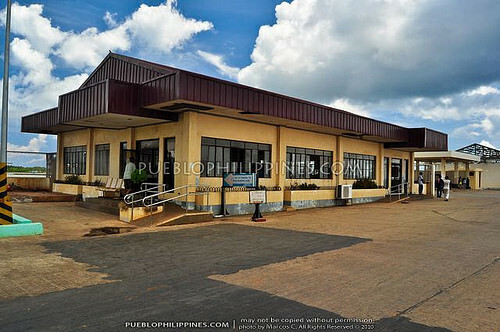 Review the Iloilo to Puerto Princesa (via Cuyo) Schedule and Fares when planning your trip by visiting this page. Always confirm by calling or visiting the shipping lines’ office if the schedules/fares are still the same. Montenegro has a considerably shorter travel time than the Milagrosa but takes a shorter stop-over at Cuyo Island. 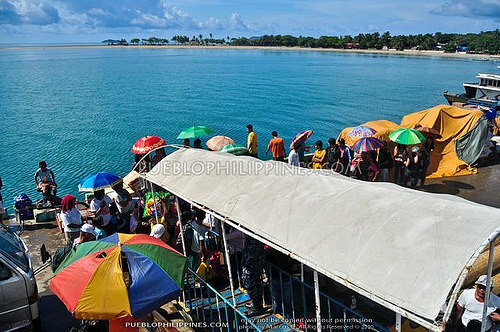 Better to travel with Milagrosa if you’re planning to visit spots outside Cuyo Town Proper like Quijano Beach or Tabunan Beach during the stop over. Of course, there’s also the option of spending a few nights in Cuyo and continuing the journey at your own convenience. 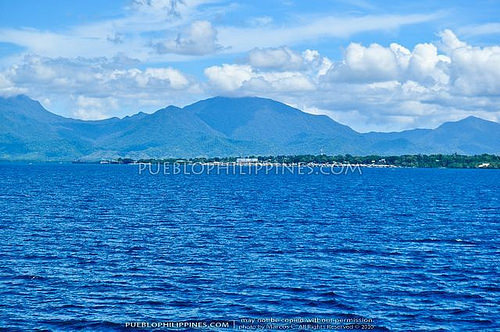 One of the best alternative routes I will love considering in going to Palawan one day. Yesterday, I and Estan talked about his Cuyo photos and his experiences there and wanting to also try it myself. When I came across your blog, its rewarding and insightful. Di ba malakas alon going to Palawan? Ung lang naman fears ko eh hahaha. Thanks Sir Wendell. I traveled to Cuyo during the second week of June. There weren’t any big waves … not even moderate winds to alleviate the stuffiness inside the boat. I have a feeling conditions would’ve been different had I traveled at the peak of the monsoon season (end of July to August). 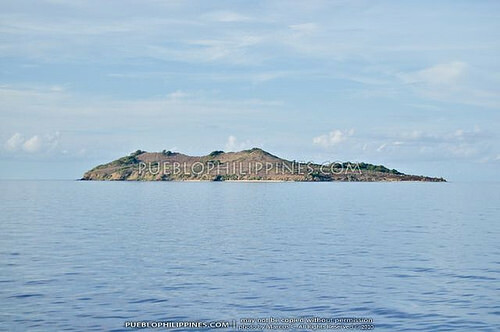 Pero kung summer months, mostly calm ang Sulu Sea. ang galing nman ng adventure mo at ang haba ng nlagbay mo, at informative mga post po…. Nice going! I envy your “travels on the rough side” which I find hard to do. I frequently travel by air but sometimes think of how things will be if I travel “backpacking style”. Your write ups provide a different view from those of us who fear of going out of our comfort zones. I admire you for this. Keep this up and I will definitely continue following you all the way! Makes me want to consider doing the same thing you did. Unlike you however, I would need a travel buddy. And yes, try to be friendly with people you meet. Who knows, they could be of help in cases you need some assistance, especially if they are locals. Makes things easier for you in the course of your travels. Looking forward to your GenSan post. That’s my assignment from your Sir Avel :) I’ll try to be more open to other people in future travels. Growing up, I didn’t have the best social skills, it’s not something I can readily change … but I’ve experienced considerable improvement already because of traveling. Im planning sana to stay in Cuyo for atleast a day or 2 kaso twice a week lang pala ang byahe…. Anyway your blog will really help me on my trip.